Download Hotel Booking Website Template PSD. 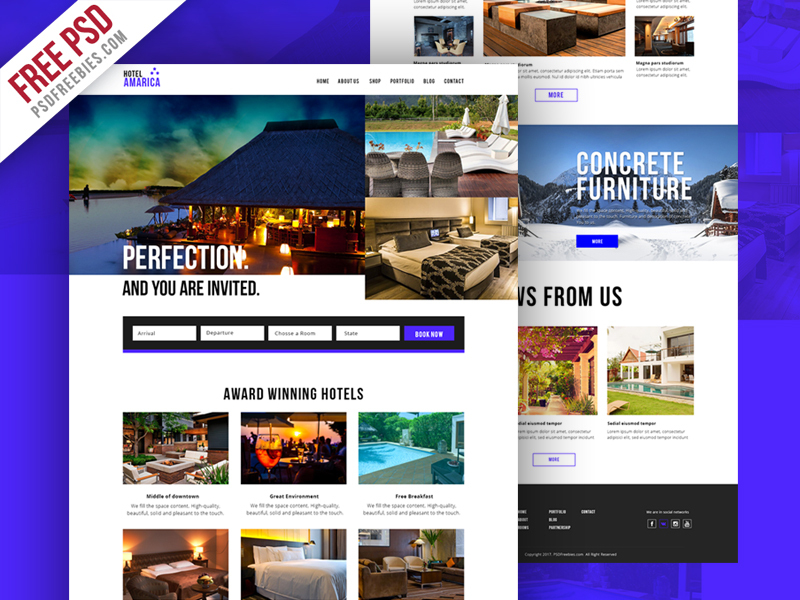 Hotel Booking Website Template PSD is an attractive and modern Design PSD Template that is perfect for hotels, resorts, villas, Service Apartments or any types of hotel industry website. The Hotel Booking Website Template PSD also provides a pleasant user experience and increasing bookings with an advanced booking form featured on the home page. This PSD file is well organized and named accordingly so its very easy to customize and update.